Here is a webquest that I created on zunal. 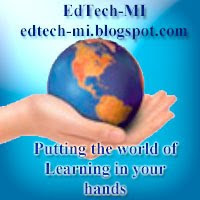 This is a website were you can create a webquest of your lesson plan. This is a neat way to get the students the information need to complete a project based lesson plan. it is made up in a framwork that is the same for all lessons. One other benifit for this format is that all lesson plans for students are consitent. So students can start to get use to find the information for succesful student learning and planing. The example webquest is a project based lesson on how to start an Airport FBO. This project has technology components and use of research skills and many other 21st century skills. This is a great spoof on technology help and how to medieval monks one giving the other technology assistance on how to open a book and the received problems of opening a book with no prior knowledge of how a book opens. Does education really need technology? This video is a spoof on going from the Stone Age to the Bronze Age and why do we really need to change as stone has work ok in the past for us. Well after watching this video it reminds we of the book Who Moved My Cheese and all of its colorful metaphors. I will have to write a blog on that at a later date. Created by Michael Wesch in collaboration with 200 students at Kansas State University. Every day there are over 3000 books being printed. Web based publishing as this Blog are increasing at extreme rates doubling and quadrupling not to speak of video and audio publishing. Here is a video that demonstrates what I mean by this. Merit reports record day of network traffic on 1/20/2009. Reports are that the traffic on the merits network reached peack of 18 Gigs around noon. Merits network went flawless packets moved along like a fine swiss watch. The greater internet didn't fair as well with network congestion and streaming servers left along the road in a pile of black smoke. There was some vendors that were still up and running with only the need for more internet bandwidth to carry it away. Phone companies bring in extra equipment to help relieve the Cell phone congestion it kind of look like the TV ad with his cell phone network group following him. even with all this extra equipment some cell phone customer reported slow text messages and no service for cell phone calls. This is going to be a stress test of all video streaming servers hosting the Obama Inauguration Day and the greater internet. Will we be able to handle all this traffic. We will soon know this as this is a monumental day with traffic flows like we have never seen. See you at the show. Acording to the New York times on Jan, 20 2009 they said, "According to the current figures, Tuesday’s traffic would rank as the fifth highest since August 2005, when Akamai began tracking the online news load. The highest load came on Election Day last year, followed by the United States loss to Ghana in the World Cup and the 2008 and 2006 rounds of college basketball playoffs". So this was not the highest traffic load days it was in the top ten at number five. So if you were looking for a streaming website today and could not get to it you most likely not alone. What does this say for the future needs of the internet backbone. It says this as taken from one of my favorit movies Top Gun as maverick say to goose "I feel the need, .....the need for speed". We have seen trends of more and more bandwidth being used, with more and more video this trend can and will only continue. As wrote in previous writings we are not the number one country with reguards to bandwidth to the household. President Obama seems in some of his speaches to elude to this fact and seems like he will work towards addressing these needs. So on this historical day as a nation lets find the inovation and get it done attitudes that are imagrant for fathers brought to this great nation. This slide presentation was done originally by Karl Fisch and then Jeff Brenman spice up the slide show with other graphics, Nice job to both. This was not intended to put the United States down in any way, but meant to stimulate conversation on where we are going in this flat world, as described by Thomas L. Friedman. What is intelligence, how will we use it in the future? Also this could stimulate conversation about Howard Gardeners book Five Great Minds of the Future? I think this is one of the most powerful things that we could do to make significant change in are students learning. By empowering students with the tools to become internally motivated to learn they will take on the roll of responsibility for their learning. I know this made a huge difference in my life when my 6th grade teacher finally found my internal motivation switch. This embedded video is Bob Sullo talking about Activating the Desire to Learn. In early 2000 the Unionville-Sebewaing area schools passed a bond issue to build a brand new 69,000sq foot building. In this bond issue was $250,000 earmarked for technology. Also the district was in need of a phone system upgrade as the High School and Middle School ran off of an old Key system. The principal at the time was Rod Rock, Mr. Rock and I had many spirited conversations on intelligence and how we assess student learning and mastery and intelligence. We talked about how we could make classrooms of the future then pass this vision on to the staff and get them to buy into these pedagogical changes. First was obvious to build a computer lab and then decided how many computer we would place in each room for classroom use to do Renaissance Accelerated Reader testing and other classroom activates. In the beginning of the budget and decision process we were looking at 32” TV for each room. After some long conversations sole searching we decide to eliminate all transparence over heads and get rid of on the wall maps and globes to exchange them for a Projection Unit and a document camera. We were able to design the rooms so the computer, VCR/DVD and document camera were all hook to the projection unit. This was a significant mind set change and not an easy sell to the teaching staff but Rod was up to the challenge. Also these classrooms were fitted with Phonic Ear room sound systems that also connected to the VCR/DVD and also came with an Infra Red teacher lapel microphone. For a phone system we chose the CISCO IP phone system this allowed us to have one port to the classrooms that ran both a phone and a computer as there is a switch built into the 7912 and 7960 phones that we installed in the buildings. With a project like this and using common equipment district wide it has helped us keep our Total Cost of Ownership (TCO) down. We have standardized on Dell for computers and Cisco for are switches. One other thing that we did to keep the cost of the project down was to do all the engineering of the technology and biding of the equipment internal instead of paying the architect 15% to 20% of the $400,000 for Networking, Computers, and the phone system. With this bond issues we were also able to connect both buildings together with Single mode fiber optics cable to connect the 1500 feet distance between the buildings in are school district. These truly are classrooms of the future and are very functional and user friendly. The key I think to make this all work was the strength in Rods leadership. As some of my writing on the good to great I have talked about Level Five Leadership. Well Mr. Rock is a prime example of Good to Great philosophy and Level Five Leadership. If you always keep in mind what is best for the students then we will always migrate to the right answer to make are decision and what best is for all the children. Is their an educational use of the Nintendo Advance DS? I believe so and here is why. All are family members own one. It could be a true ubicuous educational technology device that kids already own. This also means school would not have to buy and supply them to the students. Here are a few educational uses for the Advance DS. Learning a foreign langue: Chinese, Japanese or Spanish, yes there is a program called My Japanese coach that helps students learn and reinforce the foreign langue that they are learning. It has many skill reinforcement tools and gives the students instant feedback to assessing how they are doing in learning the new langue. It gives them feed back and lets them know as compared a grade level of the learners langue. My daughter is a 12 grader and is learning Japanese from Michigan Virtual University. I bought this program to help reinforce here learning of the langue. The program tells here that she has master the league as well as a 1st grade japans student in just 15 weeks of class and use of the program. SAT practice: Although most Michigan school recognize the ACT the SAT practice program helps the student study for the types of question that will be ask on the ACT. Brain Teasers: There are many games that allow you to work on IQ type logical skills to help as they call it exercise the brain. Simulations: SIMCITY, Pets, become a surgeon or imagine a series of games where you try to be a fashion designer or other job simulations skills. This is just a few of the games that can help student to learn skills and exercise there brains. Over all I think this is a start down a road to many neat tools that help educational technology become a tool like a pencil and paper that can be used in and out side of school to help reinforce what we have learned and mastered and to explore new and creative issue that stimulate the young mind to learn. They are intrinsic motivational tools that we don’t have to try to force upon are children but that they want to use. They are tools that can give them instant feedback and engage student learning. They help the parents and the teacher by giving us feedback on the students mastery of subject content. Is this one of the next tools for the classroom, is it going to be the student cell phone. I have always been a proponent of this, “Technology will only become effective when it is a tool as simple to use as the pencil”.